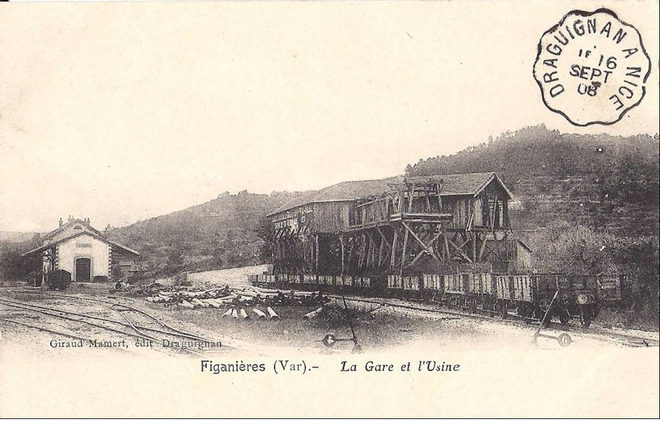 We recommence our journey at Figanières Station which is perhaps two-thirds of a kilometre to the East of the Centre of the town. We set off facing roughly Southwards. The station is at the location marked with a red ellipse on the plan below and is now a private home as can be seen in the picture below. In the old postcard the station is flanked by a rather ramshackle factory building and loading stage which had a rail link and appeared to be busy, at least at the time the photograph was taken. 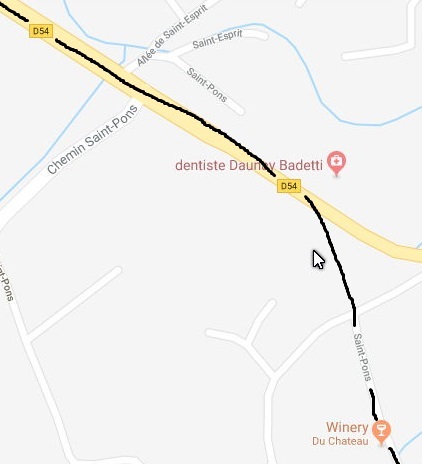 The line (shown in black on the adjacent map) followed the road (the D54) for a while until turning away to the South of the road, and finding the road Saint-Pons and travelling again in a near Southerly direction, before switching back to follow the alignment of the D54 but a few hundred yards distant. It then drifted towards the D562, eventually running just above a minor road on retaining wall. 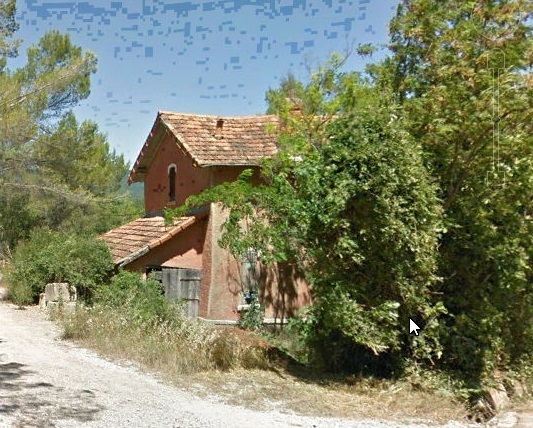 The line then crossed the D562 at level and it is just possible to pick out the crossing keeper’s cottage among the trees alongside the road. The formation of the line then follows alongside the D562 but continues Southwards when the D562 turns Westward. It can be seen disappearing into the woodland below. The formation winds its way southwards through the forest before turning West and beginning to approach the outskirts of Draguignan. As the formation of the old railway gets closer to Draguinan, it is once again covered in tarmac. It bears the name Avenue de la Vaugine. On the way, it passes under a beautiful little accommodation bridge, and a second similar but somewhat less well-maintained structure. 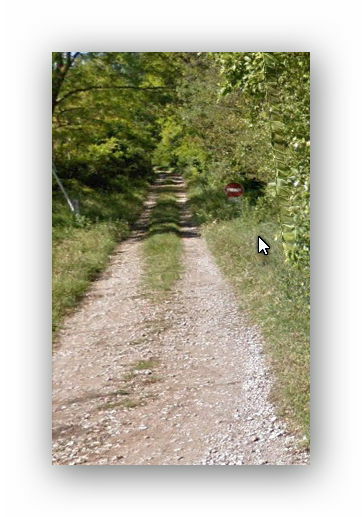 The approximate line of the old railway crosses from the Avenue de la Vagine to the main D59 along roughly the line indicated by the portrait picture above. 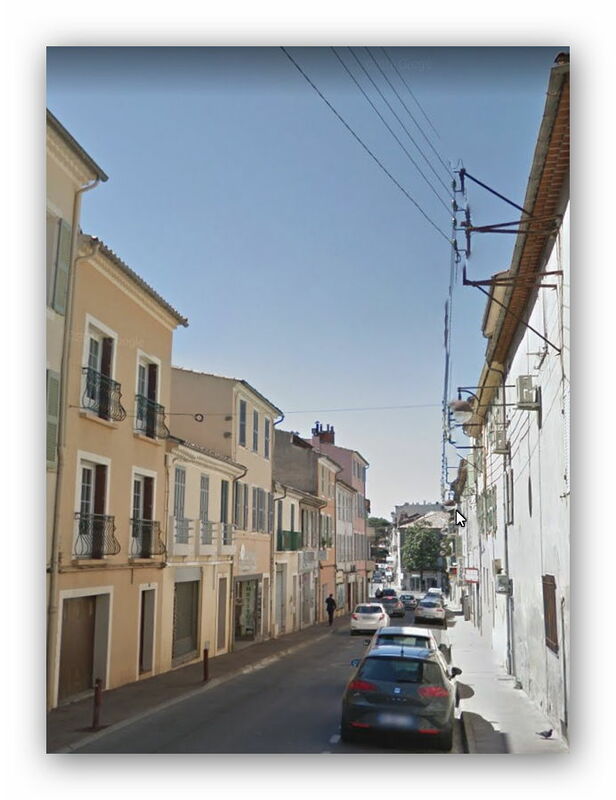 Internet searches suggest that the line of the Chemin de Fer du Sud then heads into Draguignan along Boulevard John Kennedy (D59), Place Pasteur (D59), and Boulevard Jean Jaures, and that the narrow Rue Labat and Boulevard Marx Dormoy then took the line right into the town centre of Draguignan. This is the route favoured by the Google Earth insert plotted by Claudio Capaccio which can be found by following this link: http://ollivier.haemmerle.free.fr/LigneColomarsMeyrargues.kmz. This seems to me to be highly unlikely. 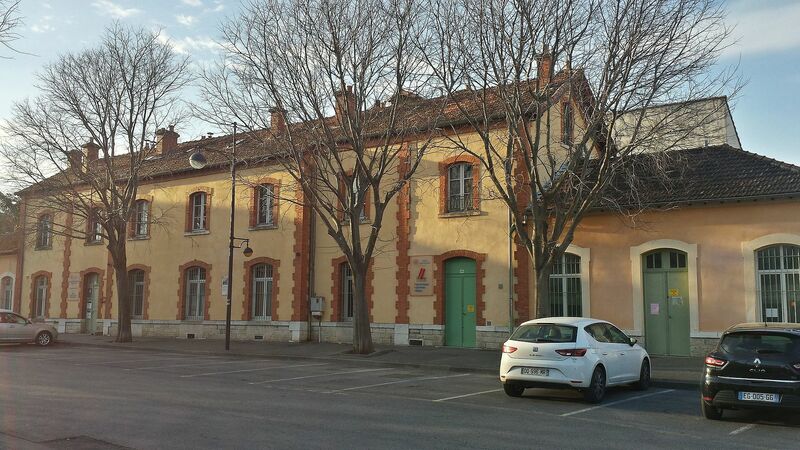 The layout of the railway stations in Draguignan can be ascertained from sketch plans and aerial photographs which show their position and which show the line from Nice approaching the Chemin de Fer du Sud Station from the West. Boulevard des Fleurs. 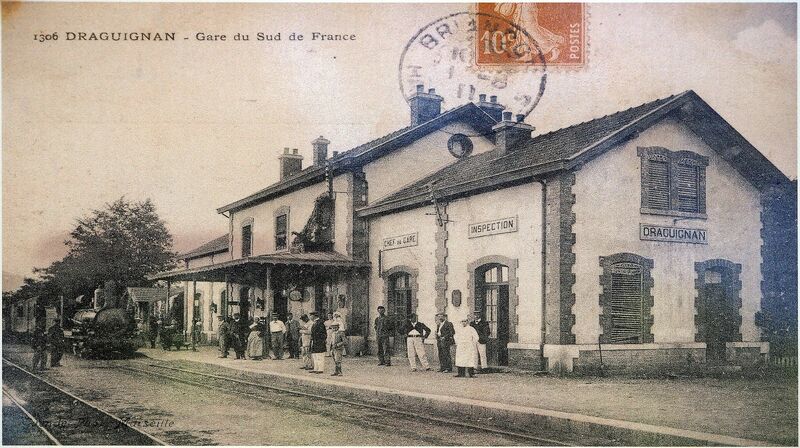 The picture immediately below shows the station in more recent times, after it had served as a school. The first postcard view below that is from 1910. The station was enlarged soon after this, as can be seen in the picture below that. The plan above and the aerial photo show the arrangement of the stations in Draguignan. On the plan the SNCF (PLM) Station is at the top left with the Chemin de Fer du Sud Station just below it. 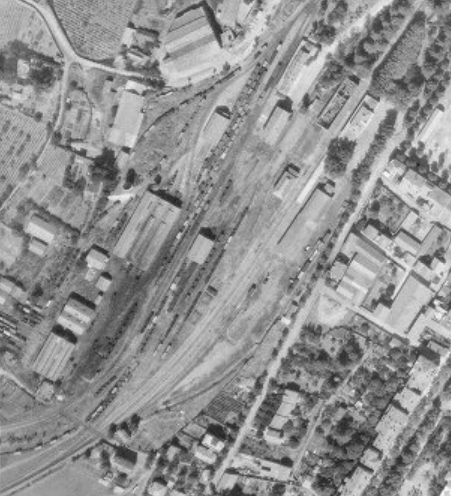 In the aerial photograph, the Chemin de Fer du Sud Station is at the top of the picture about one thir of the way across from the right and the PLM Station is to its right. On the plan, the trains from Nice entered from the right, on the aerial photograph, Nice trains entered from the bottom left, on the line which curves out of the let side of the picture and which continues roughly Westward on the aerial view below. 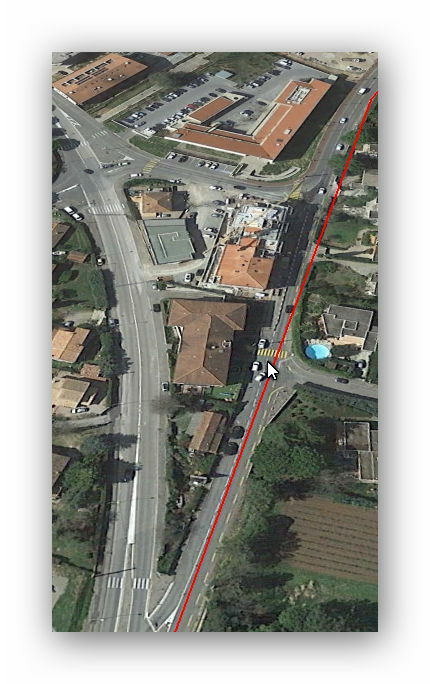 The most likely route of approach to the station from Nice was for the old line to follow the Avenue de Verdun which curves away from the D59 and the route of the line preferred on Google Earth which is shown in red in the adjacent satellite view from Google Earth. Avenue de Verdun is the wide curved road on the left of the image. 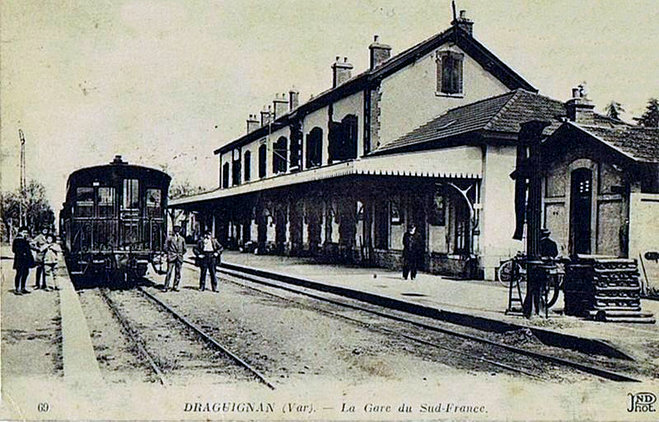 The next stage of our journey will set off from Draguignan Station after having had a good look round the Station site on any pictures which are available. This entry was posted in Railways and Tramways Around Nice, Railways Blog on December 6, 2017 by rogerfarnworth.